Chile’s abrupt geography it is not only reflected in the continental territory of the country, but also in its more than 8,000 island located in the Pacific Ocean. Three of those islands are unique among their kind: Easter Island, the mysterious “Navel of the World”, ideal for horseback riding or biking, trekking, bird watching, scuba diving and photography; Robinson Crusoe, a World Biosphere Reserve, and where its visitors are invited to discover a unique flora and fauna, both in land or sea and fill their days with adventure; and at last, the Great Island of Chiloé, a place full of tradition and legends; and a territory where it is possible to interact with nature through trekking, horseback riding, kayaking, among many other activities. Approx. 5 weekly flights from Santiago. To Castro: 3 weekly flights (Sep) - 5 weekly flights (Oct-Feb) - 4 weekly flights (Mar-Ago). To Puerto Montt: Approx. 10 daily flights from Santiago (year-round). Monday and Friday from Santiago (Nov-Mar). 2-hour & 55 minutes flight from Santiago (direct flight to Castro). 1-hour & 40 minutes flight from Santiago to Puerto Montt and 40 minutes driving from Puerto Montt to cross the Chacao Channel. 2.5 hours flight from Santiago. Ahu Tongariki - Ahu Tahai - Ahu Akivi - Ahu Vinapu - Ahu Vaihu - Ranu Raraku - Rano Kau - Orongo - Anakena beach - Ahu Akahanga - Ovahe Beach - Ana Kai Tangata - Ana Te Pahu - Poike Volcano - Ahu Te Pito Kura - Maunga Terevaka - Puna Pau - Hangaroa Church - Archeological Museum Father Sebastián Englert among many others. Chiloé National Park - Puñihuil Penguin Colony & Islets - Ancud - Tantauco Park - Chepu - Dalcahue - Lemuy Island - Quinchao Island - Quemchi - Mechuque Island - Unesco -listed wooden churches in Achao, Castro and Aldachildo among many others. Main Square - Cueva de los Patriotas - Fuerte y Baterías Santa Bárbara - Las Balas del 'Dresden' - Mirador de Selkirk - Plazoleta del Yunque – Centinela Hill - Punta de Isla - Puerto Francés – Vaquería, Puerto Ingles – Buceo – Snorkeling - Underwater Photography - Sea baths - Kayacs - Swim with sea wolf, among many others. Ahu Akivi, one of the few platforms on the island where the Moais face the ocean. Legend tells that these structures represent the seven explorers sent by King Hotu Matu’a before his colonization voyage. After this visit we will continue our trip toward the site of Puna Pau, a small red scoria crater, location at which the Pukao were made, a kind of hats or topknots placed on top of some Moais of the island. The typical food of the island is mainly based on sea products such as fish and seafood, so we can try a three-course-menu with a delicious appetizer, main course and a dessert, all based on local products. 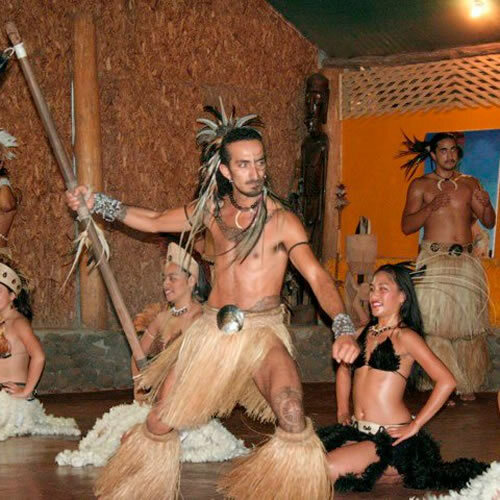 Then, around 21:00 hrs we will go to Kari Kari Cultural Center, where we will enjoy a typical artistic show of the Rapa Nui culture. Each dance represents scenes from everyday life, such as love and war. We started in Cave Ana Kai Tangata, where in one of its walls, birds are drawn in a stylized painting, representing Manutara (sea swallows) and whose precious egg was the center of the annual birdman competition. Continue to Vinapu sector, an archaeological site which has large basalt slabs carefully made similarly to the Cuzco Inca constructions. Later we will go to Rano Kau, a place where you will find a lake with small islands of reeds, abundant vegetation and micro fauna. Finally Orongo ceremonial village where the ceremony of the Bird Man competition was performed. The Bird Man was appointed by the king and would be the spiritual and political leader during a period of one year. We started visit the Ahu Vaihu and Akahanga, temples formed by platforms or stone altars where Moais (huge monolithic figures carved of volcanic stone) and Pukaos (the hats or topknots formerly placed on top of some Moai statues) are assembled together. Continuing our trip, we will go to Rano Raraku, a volcanic crater formed of consolidated ash, which contains also a lagoon. 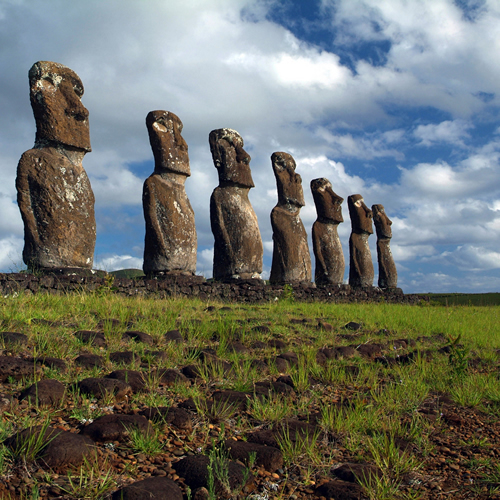 The volcano has a historical significance for the island, because on its slopes the Moais were carved. Currently there remain 397 of these impressive sculptures. Then we will visit the most surprising Ahu, a ceremonial platform, on the island. Ahu Tongariki has got 15 huge Moais. Finally, we will finish our day in Anakena, beach of natural beauty and unique by a row of Moais that give back to the sea. Departure from Puerto Varas. 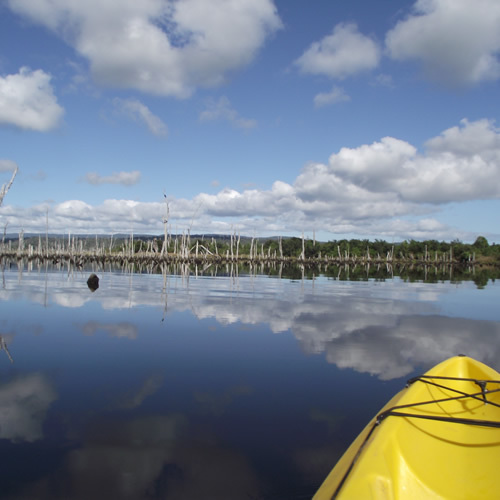 Once in the Island of Chiloé, we will take direction towards Caulín, a creek known for the extraction of seafood, seaweed and oyster farming, where you will also have the chance to see some migratory birds like flamingos, swans, and herons that come to the site. 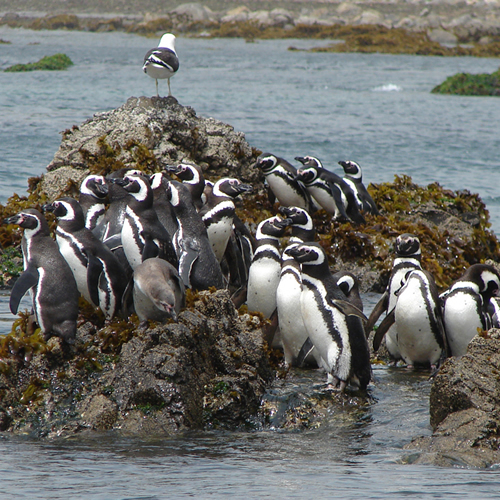 Subsequently, we travel to the south west coast of Chiloé, to reach some islets in the Pacific Ocean which are home of a colony of Humboldt and Magellanic penguins. The tour ends in the city of Ancud, where we can visit the craft market. Return to Puerto Varas. Departure to the south of the Island, toward to the ceremonial center of Orongo. In front of this center we will see three small portions of land, which added to the largest island, form the Los Motus archipelago. These islets will hold our diving activity, which will result an overwhelming and fascinating experience. 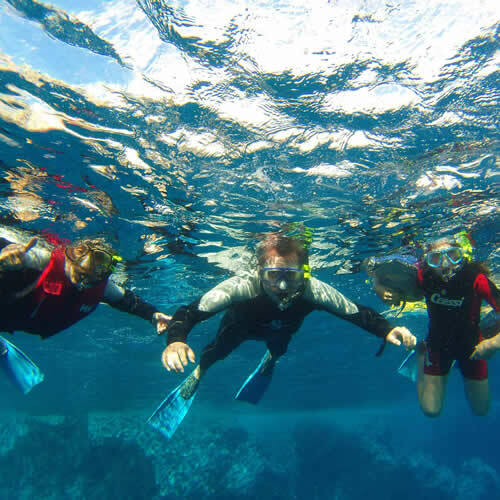 Between the warm and crystalline waters, we will find coral reef, fish of different colors, and with a Little luck sea turtles. 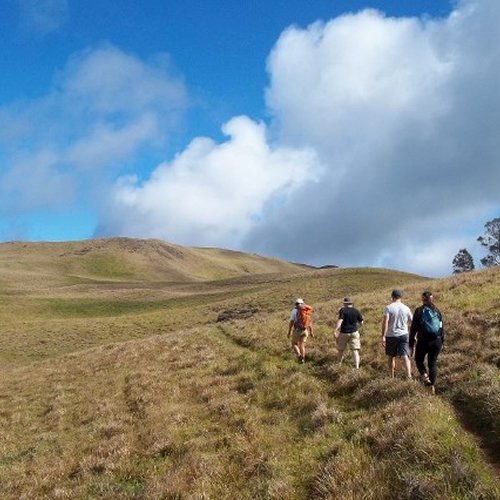 We will enjoy a trekking to the highest summit of Rapa Nui. This peak belongs to the dormant volcano known as Ma'unga Terevaka, which has a height of 511 meters above sea level (1,676 feet). Thereby we will start our walk from Rano Aroi, ascending through Ma'unga Kuma up to Terevaka. 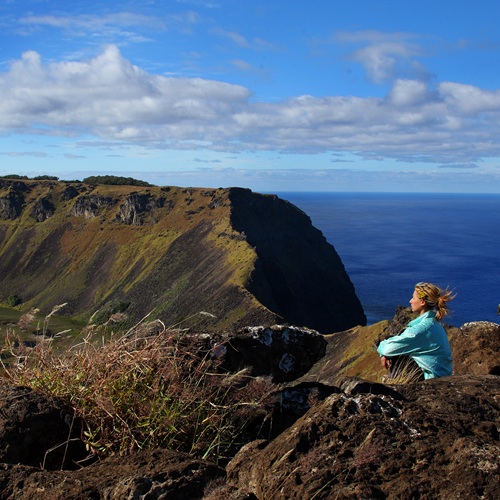 From this point, we will see spectacular views of Rapa Nui and even get an overview of the circumference of the earth. 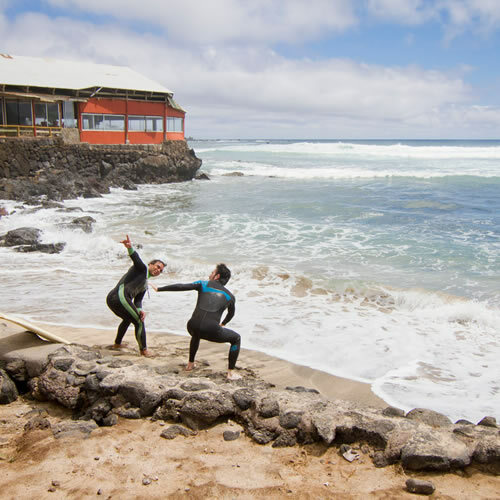 Learn how to surf is an experience on its own, but do it in Rapa Nui is unforgettable. In Pea Beach, close to the Hanga Roa village, our instructors will give us the theoretical class, we will put our suits and learn the first position on the board, learn how to catch a wave and how to stand on the board. 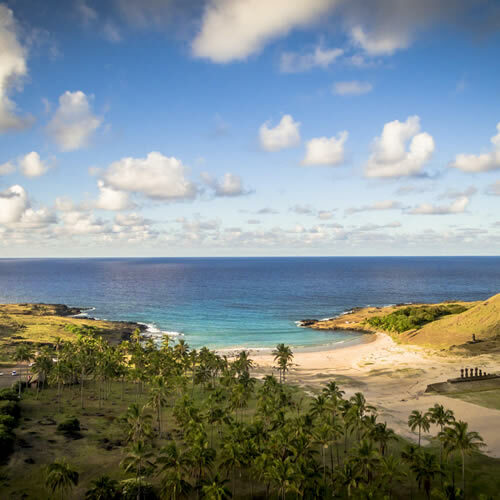 The clear waters of Rapa Nui invite us to surf our first wave. After the class we will enjoy of a cocktail to return to our hotel. Our departure is from Castro towards Dalcahue, were we will prepare our bikes to begin our adventure. Here we will take a ferry to cross to Quinchao Island. 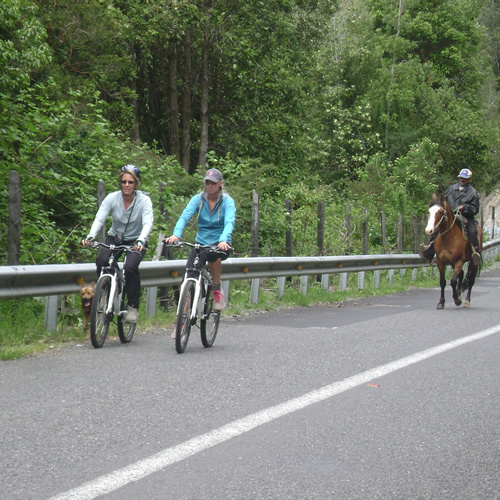 Quinchao offers villages and little towns that are ideal to bike through, but also different panoramic viewing points with beautiful views to the interior sea. The towns of Curaco de Vélez and Achao are the main points of this excursion. In Curaco de Vélez, we will see the beautiful houses that were built with noble woods and that until today, keep their architectonic style from the early 20th century. In Achao we will also visit the oldest church in the archipelago, built in 1730 and protected by UNESCO. We depart from Castro towards Chepu, a small city located on the north of the Island. Once we arrive at our destination, we will receive our kayak equipment and a brief description of the activity. Once in the water, we will row through underwater forests where we will be able to appreciate the huge variety of birds and the typical flora of the wetlands. After our kayak excursion, we will enjoy of a typical home-made lunch to regain our energy. We will also trek among the ancient Ulmo forests, where it is possible to fully live the nature and the mystic of Chiloé. Departure from Castro to Cucao, located in the south west side of the Chiloé Island. We will first visit Huillinco, its wooden dock and its unique cemetery; to continue, and bording the Huillinco and Cucao Lakes, we will arrive to the beautifull Rahue Beach. 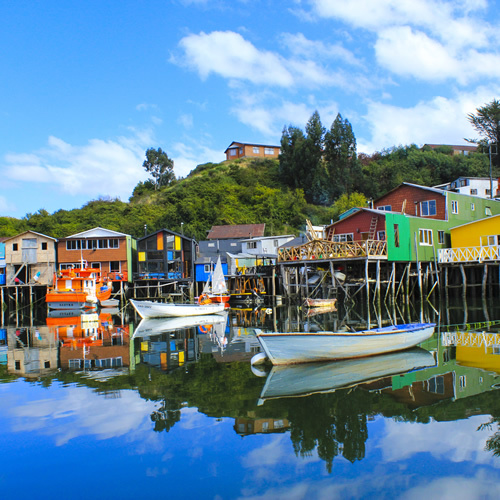 Our experience continues with a small trekking through the Chiloé National Park and its beautiful valdivian temperate rain forest to, after an energizing lunch, visit Chonchi and its church, also declared UNESCO world Heritage.